If Ben were to add a fourth leg to his Changing Zeitgeist stool, I think that automation would be a strong candidate – not because I necessarily think that it will be the thing-that-changes-the-very-fabric-of-society that is so often hypothesized, but because the specter of its influence is so daunting that it lends itself perfectly to narrative construction. It is a narrative shield for the oligopolist in defense of capital’s rising share of income. It is a narrative sword for the social engineer in public office to spur the masses into democratically voting for central planning. How will automation influence how humans behave with other humans? I had a girlfriend in high school whose father (a retired 60-ish IRS agent) drove a Z3. 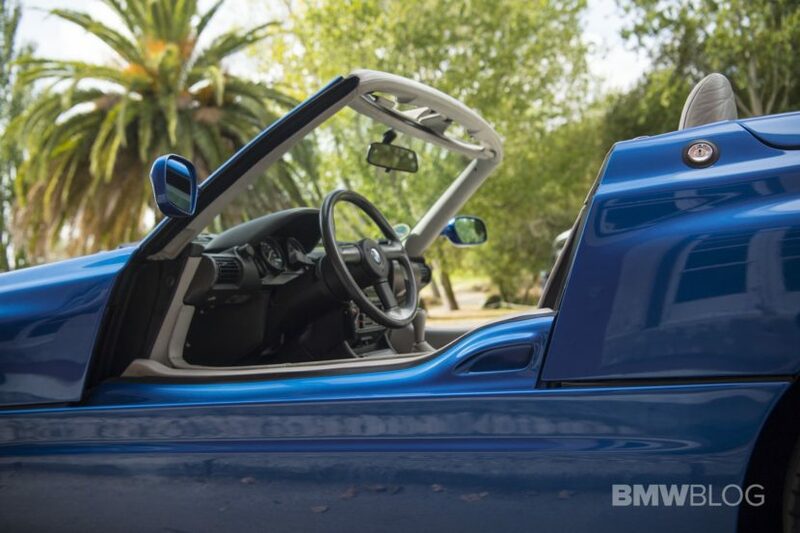 It promptly killed stone dead the short-lived infatuation I developed for BMW roadsters after the Z8 from The World is Not Enough. I will admit to its near-perfect proxy power for the ridiculous excesses of the 80s, however. You can almost feel the JNKBNDS license plate that certainly adorned this car at one time. Frederick Douglass was a man who controlled his own damn cartoon. If you’re making a Top 10 Americans list and Douglass doesn’t occupy a proud position on it, what are you even doing? Disney has had a hell of a week – a big pop on announcing a thing that everyone knew would happen, where the only real surprise was setting a fabulously low price at which they won’t make any money. Which qualifies as a good thing in 1999 2019. Then they drop a Star Wars trailer. For the most part, what Disney has done with the Star Wars property ought not to be a surprise to anyone who has watched what they did with Marvel. ‘Fatigue’ is just a thing that allows people to complain to other parents on Facebook about the 50th watching of Frozen, or for non-parents to go on Insta or Twitter to pretend they aren’t going to see Endgame because they’re so done with the tired superhero genre. Rian Johnson’s Episode VIII was a cinematic disappointment. It turned the villain of VII into a pointless prop plucked out of the ether as a MacGuffin. It made a laughing-at-you joke of continuity tropes and fan service. The key characters – Rey, Finn and Poe – are all marvelous. But even if they weren’t, we are at the point where it doesn’t really matter. A Star Wars film is now an opportunity for a mirror or rage engagement. It is 2019, and anti-Semites are still attacking synagogues. It is 2019, and Coptic Churches in Egypt are being torched by the dozens. It is 2019, and the Chinese government is functionally operating a regional concentration camp that they call the Xinjiang Uygur Autonomous Region, in which a million Uighur Muslims are being subjected to constant surveillance, arbitrary detention, cultural destruction and reeducation. It’s nice to see that the leaders of Morocco are charting a different path. At the same time, it is sad that they estimate that only 2,500 Jewish citizens remain within the kingdom. Look, I don’t know how much fire there is to the smoke of Google’s parameterization and manipulation of search results, rankings and the like, especially in news. I suspect that it happens with some frequency, and yes, I think it is likely that certain political perspectives are more susceptible to this treatment, usually through an abstraction layer or two so that it isn’t transparent – the political equivalent of setting buy rates on car loans by purchaser zip code. Still, I couldn’t help but get a chuckle out of this. Yes, that IS the kind of ad you see when you are Rusty, but the point is that this is being served up on their site by Google. Just perfect. Still, we still aren’t seeing a lot of momentum around Google and Amazon trust-busting narratives. I think part of the reason – ironically – is that the current Republican president and the candidates of the Democratic party agree on whether Amazon, in particular, ought to be cut down to size. That may be the oddest reality of the widening gyre – that the lack of incentive to worry about issues that don’t produce political division means that policy actions with significant cross-party agreement are the ones that don’t happen. Really? JNKBNDS license plate on a BMW? As a Junk Bond Banker/PM from the late 80’s I look down my nose at such a vehicle… from the custom Roccaro seat in my Porsche Targa Carrera. That said, now that I am seeking redemption in public service I drive a Nissan Frontier.